It spans across the high, sharp ridges of central Pennsylvania and features miles pristine mountain streams and numerous tracts of old growth forest. Bald Eagle forest district lies in the beautiful ridge and valley section of the state. From the limestone-rich Susquehanna Valley in the southeast to the Allegheny Mountains in the northwest, the forest district is dominated by a series of sandstone ridges some of which reach heights of 2,300 feet above sea level. The confluence of the west and north branches of the Susquehanna River occurs on the eastern boundary of the district, opposite the town of Northumberland. The many streams within the area have their origin in the forested ridges and flow in several directions eventually emptying into the Susquehanna River. Public watersheds comprise over one-third of the Bald Eagle State Forest, making the wise management of this land essential. DCNR’s Bureau of Forestry is in the process of revising the Bald Eagle State Forest Resource Management Plan (SFRMP). A district-level state forest management plan is written for each of the bureau’s 20 forest districts across the state. Bald Eagle State Forest staff hosted a public meeting (PDF) in December 2018. Citizens may view the updated draft of the Bald Eagle SFRMP (PDF) . 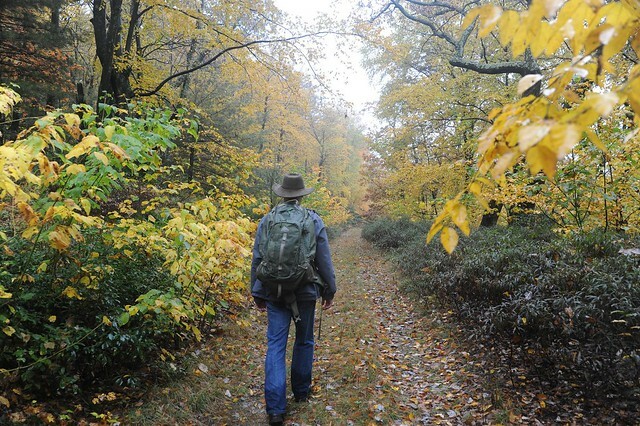 View Bald Eagle State Forest’s 2019 management activities (PDF) for upcoming projects and events to implement the State Forest Resource Management Plan. A forest stewardship demonstration area, located on Stony Run Road, one-half mile north of Route 45 near Laurelton in Union County, contains a self-guided trail that highlights the results of various timber harvesting practices.